I recieved a very professional, approchable and friendly service from Kirstie. I was thrilled with my product-fingerprint cufflinks-they are very individual, beautifully finished and exclusive with my daughters fingerprints on them! 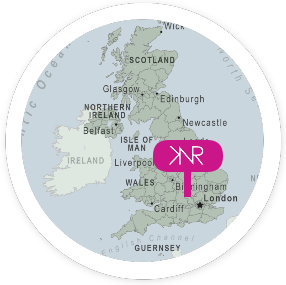 I’ve ordered form KNR Jewellery many times and would not hesitate to recommend them. First time was fingerprint jewellery and we saw Kirstie by appointment but we have since moved away and when I had my second child I naturally wanted to add to my previous purchase. I was once again delighted at the quality of the jewellery – this time made using an Impression Kit by post. It was easy to do and came back really quickly!